The title of the work is taken from words from each of the six books used to construct the piece. In a digital age, cutting and pasting using a computer software program are part of a fluid sequence. 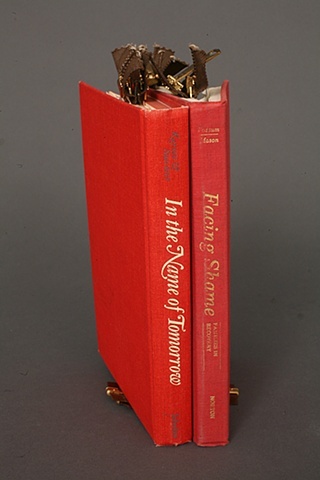 Zipper Theory: Facing Shame Tomorrow implicitly references this flexible exchange to alter concepts and points of view. The system of zippers produces a limitless set of variations, with pages able to added, deleted, or interchanged at will.